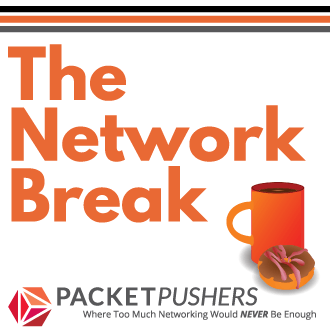 We talk a lot about automation and how network engineers need to return to programming. The vision is that we will all have to do some programming in the future to glue various parts of our systems together. This was certainly the case in the late 90’s and faded away in the early 2000’s. In the late 90’s the language of choice was Perl with TCL. Today, there are dozens of new languages and there is a lot of weight behind “using what we know” with Perl but many are turning to Python. I know people using Ruby too. In 2013, everything is pretty much the same. Network Management tools are much improved but stuck with second-rate protocols/APIs for accessing data such as SNMP. We have plenty of nasty hacks to get configurations backed up and device performance, but very few usable APIs. Enter Software Defined Networking. In my view, an Application Programmable Interface(API) is the fundamental change that makes Software Defined Networking (SDN) a “thing”. It’s the single most important thing to change in networking since RIP was deprecated in favour of OSPF/EIGRP. We need to realise that the CLI is a “power tools” for specialist tradespeople and not a “knife and fork” for everyday use. The second most vital change is that users want to have a quality interface. Users expect more than a Windows interface or an ugly HTML text page with data on it. Where once getting anything onto a web page was acceptable, users expect to see dials, charts, rounded corners and luscious menu transition. Many people turn to web frameworks like Ruby on Rails, Django (Python), or one of the dozens for PHP like Laravel to provide the web interface. You need to solve a problem like “web interface” go and get a tool that does. 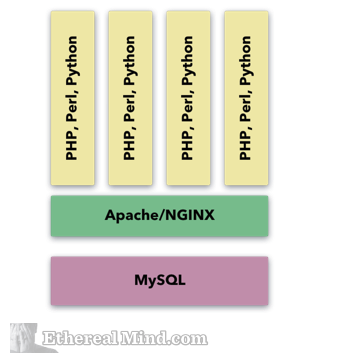 It’s reasonably common to use a PHP or Ruby framework for the web view, Perl or Python for the network polling and a SQL Database to store the data. You will need to use dozens of modules to provide the enhanced functionality plus some syslog, CRON jobs, Apache, Apache modules. Maybe you dropped a memcached for performance …. Scripting languages (Perl, Python, PHP, Ruby) for core logic (likely, at least two or three). and probably a bunch of C library/extension for one or more of your scripting languages. (If not today then you will because your polling agent will have to be in C for any sort of scale for multithreaded scripting languages.). Now your head hurts and you have forgotten why you started in the first place since all you do is read websites & man pages to work out what the hell is going on. So I’m a networking guy & you are asking me to develop skills in all of this non-core knowledge of a dozen or so languages ? And lets not forget testing, IDE’s, deployment & upgrades of each of these system ? And the tools to write these languages. And test them. Modules like backbone.js and underscore.js solve code coupling with abstracted frameworks in the web browser. So there are three key aspects of node.js that really interest me. widespread adoption at web scale companies. The technical aspect of event driven programming is key. In a network management system, everything is driven by events. polling is an event that occurs every five minutes. SNMP-trap is an inbound event that requires handling. making an API call in response to user action. It seems to me that using an event-driven language is well suited to network management. I’ve spent some time working on Perl scripts that attempted to handle events and it’s was really complex. Global namespace in multithreaded scripts is complex and prone to failure. And I’ve had been involved with enough failed projects with multithreaded languages that are hard to scale. Horizontal scaling is typically done using a database and attempting to build coherency between multiple threads, or to split the program flow into smaller pieces. Vertical scaling with bigger machines (CPU/Memory) and large amounts caching is usually the only practical option for Perl/PHP. with the event driven model of node.js where the server is waiting for inputs and spawns internal processes to handle the requests. This feels “natural” to me. I like it. 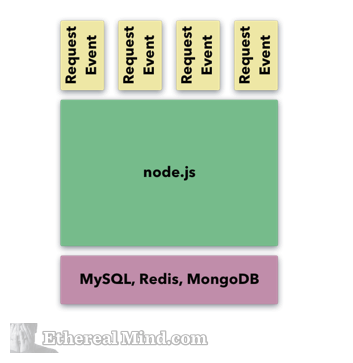 node.js is an event-driven environment looks well suited to network management. Good to excellent HTML template and dynamic content generation and support for funky HTML toolkits. Lots (and I means LOTS) of textbooks and reference material to learn from. Lots of networking specific networking code modules available for Perl / Python. I worried a while about the module availability for protocols like SNMP, sFlow and other. Then I realised – they don’t fundamentally matter. I’m not building for current generation of networking, I’m building for the next generation of SDN products. And they won’t be using legacy protocols. And even if I need them, I can build scripts to act as API translators using the languages that have the support. +1 for node.js especially for building servers and real-time web apps using websockets. It is equally good for CLI tools and automation (Joyent’s vmadm, imgadm, and dsadm tools as examples). But if the needs are simple, like automation scripts (not a web app or server) then Python might be easier to learn and get started and there are loads of networking libraries available already. I recommend both and also becoming comfortable with regex and bash tools like sed/awk. Check out the python aol/trigger library as well. I think that once you get into any complex application, the number of tools you have increases by necessity. And it’s not a bad thing. Saying it’s a bad thing is like saying your network is going down the toilet because you have Cisco, Juniper, and HP, and now you have to learn 3 CLIs. No — it’s not like that. 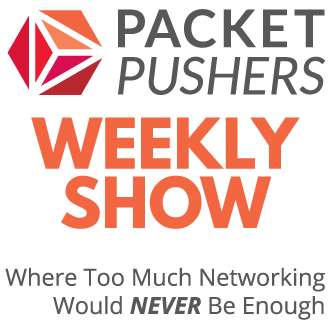 You know how to run a network device, and all you have to remember is how to do what you want. If you continue down the JS route, have a look at Coffeescript. It’s a preprocessor for JS and takes some of the rough edges off. Also consider some abstraction — separate the polling/trap receiving system from the front end. Use a time series database for performance information, and a traditional SQL database for events. Tie it all together with a queue. Also, and I’ll just throw this out there — have a look at Erlang. It meets most (all?) of your requirements and is far more mature. Pus it has stuff built in like hot reloading and fault tolerance. I think you have a very biased view of the reality. Not to say that you should choose your technology based on a popularity contest but outside geeks in their freetime, nobody is using node.js. 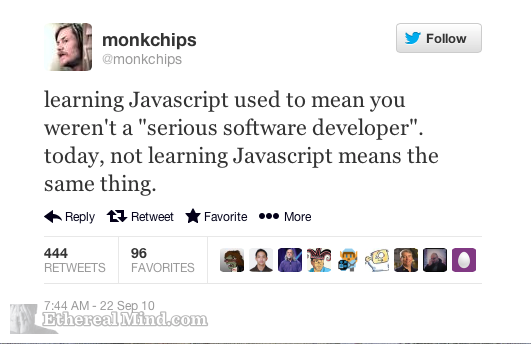 Just say that you don’t like java, this is more honest. Because i’ve been on the blunt and unpleasant end of Java deployments for more than a decade. I’m the network guy who get the accusations from the Java developers that it’s not the application that is slow, it’s the network / server/ storage. And every time it is the application. I’ve installed Load Balancers, WAN Accelerators, bigger switches, more WAN bandwidth and performed more hours in front of packet sniffers to solve the crap that is Java, Tomcat, WebSphere and all other faulty applications that apparently stop Java from falling over. In my opinion, no one has the skills to make a reliable Java application because that is my real world experience. Server or Client side, big or small, no matter whom the vendor is, Java is an loser. In our environment we’ve had success using node.js for network automation projects, so it certainly can work with the right expertise. As far as networking modules go, there are some good tools out there on npm, and there is always the option of contributing to or writing your own tools. This is why we ship xn.js (our node.js compatible API client) with LightMesh – so you can integrate our solution design processes etc. with your own automation projects. My experience is that many company use Java in their toolbox. The company I work for too. We manage more or less 25000req/s. Not simple request like give this file please, but complex request involving lot of computations. We serve dozen thousand websites for different many clients using this infracture on a datacenter. In our domain, we have nearly 40% of the world market share. The frontend is in java. It is always easier to say the fault is on the other side! In particular you’ll never see somebody coming and say how, your network infrastructure is so good, thank you. You’ll always heard them when there is a problem. And yes the network is likely to have its flaws. Like the software application too. What is important is to look at the root cause and improve. And don’t even think that by using another technology all problem will disapear! There is no silver bullet. Although I don’t think there is a “one-size-fits-all” toolset, I’ve been able to achieve quite a bit through python with pexpect and pysnmp. Granted the methodologies are fairly “old fashioned,” I have not found a better solution for myself. When I need a webUI I use django. For me, it’s all about creating an environment which is easy for you, so that you can “rinse-and-repeat” later. Neither I, or most readers, are developers. My primary role is network engineering and I’m choosing a single language that is good enough for most situations. I don’t need, or want, to be a developer – just build tools that get my job done. I am a fan of node.js for developing SDN applications. OpenFlow controllers, cloud services, switches etc. increasingly offer RESTful APIs and node.js makes a great HTTP client for accessing these APIs. As a bonus, node.js also makes it easy to export RESTful APIs for monitoring and configuring the SDN application (as mentioned in the article). I don’t think it makes a lot of sense to implement data intensive tasks like sFlow/NetFlow analysis within node.js – it makes more sense for traffic analyzers to offer higher level RESTful APIs so that performance metrics can be consumed by node.js applications, using node.js as the glue that ties measurement and controller functions together. I noticed node.js has it’s own Expect (referencing TCL Expect) implementation. This alone gives it the ability to pull data via ssh/telnet socket and parse data into usability, backup configurations, and possibly remediate issues in real time. Not to mention all the file utilities and shelling out to the command line on virtually any platform. Several node packages under npm seem to be built to enhance network automation and solve the problems associated in the DevOps arena. Which is technically what you are talking about. DevOps is the term that kind of encompasses the move from the last generation Network engineer to a more script and Automation oriented Network Engineer/Architect. Other than lack of documentation, these tools hint that node.js is pretty mature and useful in the network automation arena.